What did you do to your Volvo, today? today on my 855-T5, I replaced an H1 dipped beam bulb, and a sidelight bulb. Under $8 incl GST, sweet. Took about 7 mins, no tools needed. Ready for a new WoF next week. It's done 195,700 kms now. Pretty good for a 20 year old car. Happy days. Haha. Sorry and thanks. Such glorious boxy goodness. not at all! the 850 is *all curves*, cleverly designed to look like it's boxy, carrying on the familial identity. with a cD of 0.32, it's gotta be curvaceous! Hiya Gaz, sorry I'd not seen your question earlier. 2005+ - should be a comfortable, safe swedish battle tank! Your family is much better off in that than a Mazda MPV. You'll find it a little different to work on than BMW, though not particularly difficult. Plenty of support via forums in the US and UK. I'm pretty sure the running gear is essentially the same basic kit as the P80 (850/V70) and later P2 platform. P3 platform is shared with Mondeo etc. Congratulations on your impending fatherhood. Nothing will ever be the same again! Though, in a good way. since last update, it went for the WoF. It failed on a broken fog lamp, which turned out to be a bit of a hassle... I ended up sourcing one brand new from ebay from USA for USA40. And it needed left hand LCA bushings. That's why it had been pulling to the left under braking! For the last TWO YEARS. Nice one VTNZ, you were on your 'a game' for the last three WoF's, eh?! More on the LCA's - I'd replaced them five or six years ago (so only about 25k kms at most) with Meyle HD parts. Odd that they'd died already. Anyway, my partner in volvo crime had a set of genuine volvo bushes in his parts stash, so we had those fitted. Job done. It's now had a coat of wax, and is going up FOR SALE. It's looking spiffy, running well. Good call!! Until it's worn out, it'll give you better (more reliable) service at a lower cost. Called the AA, full diagnosis (Alternator, Starter good, no drain issues), revealed battery borked. Had the battery replaced under warranty at 27 months old, thanks AA Battery Service! Replaced right front corner indicator - some a-hole had given the car a parking nudge and broken it, no note left, no apology. took it for a WoF - it flew through. 6mm of tread on the tyres all round - Directionals on the rear axle, Asymetrics on the front. Then I stopped off at Jon's workshop, and she didn't start when I went to leave! She's turning over super-fast with the new batty, too. Jon listened to the injectors, heard the pintle click once. I did a quick bit of research, found the FI relay and removed it. We inspected the internals, looks pristine. Then she started. I'm ordering a new FI relay to install before she goes for sale. 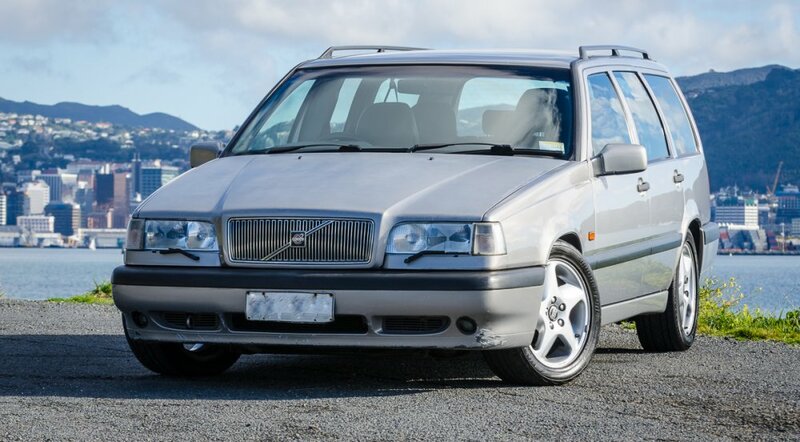 I'd previously replaced crank sensor, cam position sensor, leads, plugs, coil, rotor, cap, IACV... all the things that can cause trouble with the Volvo 850. Watch this space, she'll be up for sale soon. Many thanks to @Jon for helping diagnose! Got it sorted out. Jon sleuthed it down to Cam Position Sensor hi impedance. Changed it out, all going good, hot starting issue resolved. I'm listing it for sale this weekend. I'll miss it. 65" TV in box? No worries, it'll fit in the back of the Volvo with ease. Set of wheels and tyres? twice? no worries, the Volvo will swallow it with ease. Moving house? Taking a few wool bales of garden waste to the tip? Collecting panels for your e30/e28/e34/e39/e46 etc... yep, the Volvo will handle it. Want a quick comfortable quiet sleeper that surprises the bejesus out of SS/XR8/WRX/Legacy GT drivers? A spot of power steering fluid (200mls) has restored feel to the steering. Ideally a drain and flush would be the thing to do. I’ll put that on the list for the next owner under ‘recommended next steps’.